The sun is shining, and the winter rains are over — spring is here and that means one thing for parents and their kids: Spring break! It’s a time for families to get together and enjoy the time off. But the question remains: What to do? 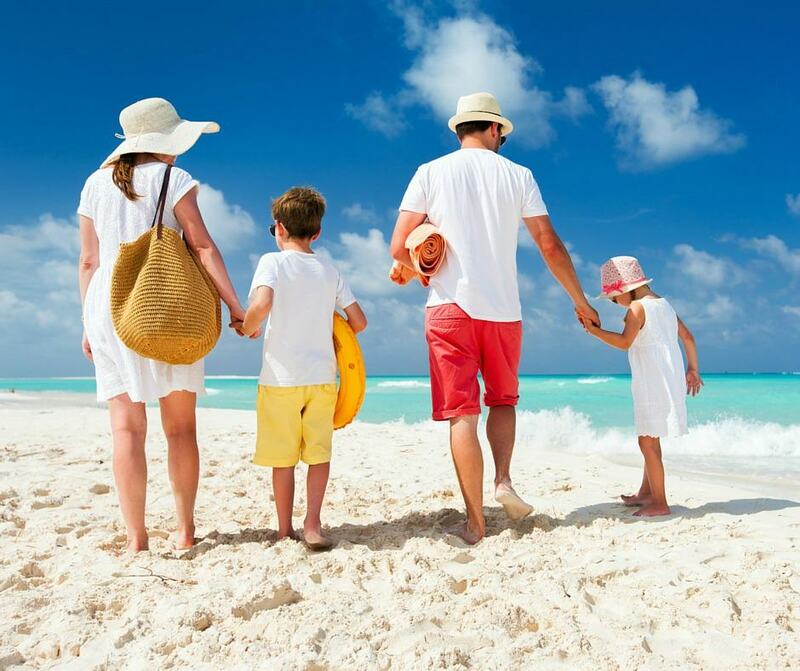 Why not take these precious days off and head to the beach with your loved ones. Lucky Los Angelenos have warm weather year round and a bevy of sandy beaches from which to enjoy the sparkling Pacific Ocean and your loved ones. A beach vacay — or staycay, as the case may be — doesn’t take weeks of planning, it’s a 20-minute drive that’s between you and your family playing on the playa. With luxury residential properties like El Centro that are literally in the center of the city, throw on your bathing suit, hop in the car, maybe swing by Erewhon for a snack, and you’ll have the best spring break vacation instantly. Perhaps one of the most family-friendly beaches in LA, Seaside Lagoon has all of the activities to keep you and your kids occupied. This body of water is enclosed, shallow, and chlorinated, so swimming dangers are minimal (but still keep your guard up!). The many lifeguards here will put you at ease, and the water slides will thrill your little ones as they splash around. Forgo packing a lunch head to the yummy diner there for seaside bites. Iconic is an understatement for Santa Monica State Beach. Long stretches of sand give way to a buzzy boardwalk scene with roller coasters and activities like Segway tours. There will definitely be something for you and your family to do. While packed in the summer, springtime offers visitors to Laguna Beach a sleepier vibe, which is great because you can visit downtown Laguna Beach to shop and eat and then head directly to the beach to get salt water and sun in. Laguna is as renown as Venice Beach for having a sporty vibe, enjoy basketball and volleyball courts and even a playground for your children. Get a bit of physical activity in with the kids or stroll the boardwalk and eat fries. Time Out compares El Matador to a European beach, and we have to agree. Just a little north of Malibu and dominated by rock formations jutting out of the water, it’s one of the most scenic beaches in the country. Treat your family to a sunrise or sunset as you watch the tide roll in and out amid dramatic scenery. A trip to El Matador is do-it-yourself since there aren’t vendors on the beach, so you’ll have to bring your own accouterment. But it will be worth it once you see your kids peeping in the many tide pools here that showcase exciting undersea creatures. The name says it all. This is a beach for surfers. Whether you have a family of expert surfers or want a clean and beautiful place for them (and you) to learn LA’s most popular pastime.